Expulsion is latest development in strained relations as Ankara criticises killing of more than 60 Palestinians in Gaza. Turkey’s foreign ministry has asked Israel’s consul-general in Istanbul to leave the country “for some time”, after Israeli forces killed more than 60 Palestinians during protests in the Gaza Strip. On Tuesday, the ministry made a similar call to Israel’s ambassador to Ankara, which received a reciprocal response from Israel on the same day. Israel protested on Wednesday over what it called Turkey’s “unbecoming treatment” of its expelled ambassador, after the envoy was shown on Turkish media undergoing an airport security pat-down in public view. In response to Ambassador Eitan Naveh’s treatment, Israel’s foreign ministry said in a statement that it summoned the Turkish embassy’s charge d’affaires. Naveh had only been in his post since December 2016, after a reconciliation deal earlier that year ended a dispute over the May 2010 deadly storming of a Turkish ship by Israeli commandos that saw relations downgraded for more than half a decade. Ankara has been a vocal critic of the Israeli violence against Palestinians in Gaza and the opening of the US embassy in Jerusalem. On Monday, Israeli forces killed more than 60 Palestinian protesters in Gaza, as tens of thousands of people rallied as part of the Great March of Return and against the US embassy move, which overturned decades of US foreign policy. 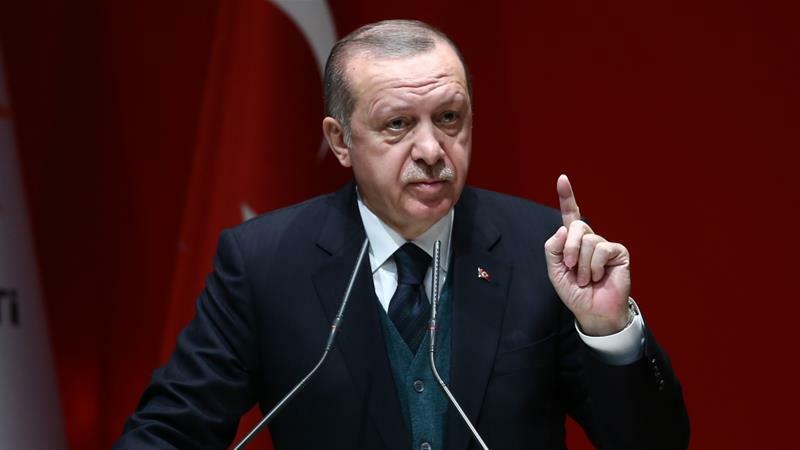 Turkish President Recep Tayyip Erdogan, currently on a visit to Britain, had on Monday stepped up his rhetoric, accusing Israel of “state terror” and “genocide” over the killings. Prime Minister Benjamin Netanyahu hit back at Erdogan, with a tweeted jibe in Hebrew that as a leading supporter of Hamas “there’s no doubt he’s an expert on terror and slaughter”. Responding on Twitter in English on Tuesday, Erdogan said: “Netanyahu is the PM of an apartheid state that has occupied a defenceless people’s lands for 60+ yrs in violation of UN resolutions”. “He has the blood of Palestinians on his hands and can’t cover up crimes by attacking Turkey,” he added.